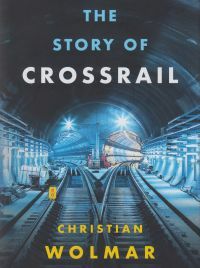 “The Story of Crossrail” will have to be reprinted in a Mark 2 version when the rail line eventually opens. This one is for the Christmas market 2018. Its successor could be for next year, or even the year after. Who knows? Christian Wolmar, a Labour supporter, is an experienced railway writer, with a very good handle on the politics and economics of train operations. As such, he is totally focused on the subject matter and to some extent misses out on what is going on around him. He knows his topic too well. All that said, Crossrail is a brilliant scheme that will support London for at least the next 100 years. It is a tribute to the engineering industry that somehow threaded through the political, funding and underground engineering complexity to put together Britain’s largest rail project since the Channel Tunnel. There are two big disappointments with the book. Wolmar assumes the reader knows the intimate geography of London and there is no map of the route. Wolmar is a train buff and as such overlooks any mention of air transport. The Heathrow Express was rescued by a total aviation man, the late Rod Hoare, who contrived to save the line when all was going wrong and holes were appearing in the airport's Central Area. At least the branch into Europe’s busiest airport is discussed. There is but a single minor mention of London City Airport, which Crossrail runs under and no mention of the Silvertown Station part of the North London Line from which Crossrail was created. The airport consultative committee includes a Crossrail representative who according to the minutes has never spoken. Lobby groups produced a station at Woolwich Arsenal and other places. Silvertown does not appear to be involved in the Crossrail thinking. Sir Terry Morgan, the former short-term chairman of London City Airport, and full-time chairman of Crossrail since 2008, comes out well in the book. Wolmar takes the reader in some detail from the horse-drawn omnibus of the 1820s, the Metropolitan Railway of 1863 and what he calls “the tiny tunnels” of the Underground trains of the 1930s. He says we will marvel at the huge passenger halls of the new railway, how the complex passenger intersections, such as the meeting of Crossrail and the Central and Northern lines at Tottenham Court Road, are dealt with, and Paddington, where the final layout for the station includes a glass roof. It seems that non-standard height platforms on the central section of the new line will make journeys unnecessarily complicated and burdensome for those with disabilities. This has escaped Wolmar. Crossrail is a mammoth project dealt with sympathetically by a real railway expert. As a Londoner, he is going to be pleased with the finished project, as will the rest of us. And he can be proud of a fine book (Mk 1). This is the 32nd edition of a book that is an inspiring, entertaining and informative guide to the extraordinary legacy of the United Kingdom. 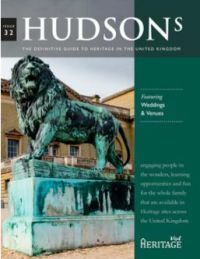 Published by Visit Heritage, the new Hudson’s aims to encourage readers of all ages to explore Great Britain and its unrivalled history from north to south, east to west. This latest edition includes key anniversaries for 2019 including 200 years since Queen Victoria was born, 100 years since the Treaty of Versailles was agreed and 50 years of the Cleveland Way among many more. With 2019 the 80th anniversary of start of World War II, specialist features include a tour through historic houses that were used as bases during the conflict, a feature on famous film locations and a look back at 17th-century recipes with food writer, critic and TV presenter William Sitwell from his home at Weston Hall, Northamptonshire. If you are getting married next year, or involved with a ceremony, there is also a section devoted to the best historic location in each region of the country by event planner Rebecca Koziak, giving couples insightful guidance about how to choose the perfect notable venue for their special day. This is a very fine book that can be read piecemeal, venue by venue, and at the same time is controversial. It features some wonderful but sometimes forgotten venues such as Dickens’ home at 48 Doughty Street, London, which with a quick look in Google Maps is near St Pancras Station, and the wreck of the SS Mendi, off St Catherine’s Point, Isle of Wight, not easily accessible! No locations or websites are given and while some are open to the public, typically Windsor Castle, others do not exist any longer, such as the Crystal Palace. 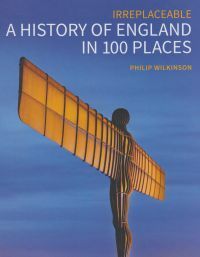 What A History of England presents is an illustrated volume of 100 historic places divided into 10 categories ranging from Music & Literature through Science & Discovery to Power, Protest & Progress. Author Philip Wilkinson, a specialist writer on history, architecture and religion, explains why each of these 100 sites is so important and brings our nation’s story to life. You don’t have to agree with the choice, but his panel includes a cross-section of society including V&A director Tristram Hunt, wheelchair athlete Baroness Tanni Grey-Thompson, writer and cookery expert Mary Beard and Dean of St Paul's Cathedral Dr David Ison. Each venue is a chapter with some fine illustrations and highlights places that are surprising, intriguing and enlightening, from the observatory in Greenwich where the modern measurement of time began, to England’s oldest inn carved into sandstone in Nottingham. Some are tourist hotspots, and others are less familiar, but all deserve, according to the author, to be celebrated as landmarks in England’s history. Hillsborough Football Stadium gains a page in the section devoted to “Loss & Destruction”, a very sad part of our past, but is not the top of the list when it comes to real disaster. If you are going to use symbolic images surely London burning, with St Paul’s highlighted, tops the list. “Sport & Leisure” includes Stoke Mandeville Hospital where the first Paralympic Games took place, but not Wembley, an Olympic host twice and arguably the world’s most famous sports stadium. No Westminster Abbey under “Faith & Belief”, but Stonehenge is seen in all its glory. Under “Industry, Trade & Commerce” The Blue Anchor Helston, gets a page, a fine historical pub but no more so than one of dozens of similar hostelries. The author must drink there. And since photos of places now well gone are included why, not an aerial photograph of the once huge Ford plant at Dagenham in this section? The Crystal Palace is shown in its glory. Thirty years ago, 1988 London City Airport moved 130,000 passengers. In 2018 it will be around 4.6 million. 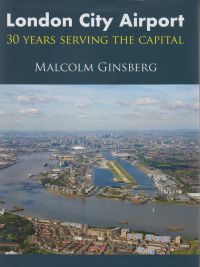 In a fascinating new book, BTN’s Malcolm Ginsberg uncovers the recent history of the London Docklands, once the busiest port in the world, the controversial birth of the airport and with it the parallel development of Canary Wharf, ExCeL London, and the Docklands Light Railway (DLR). Nicknamed LCY (the official airport code), London City Airport it is a fascinating story that our enterprising Victorian forebears who built the docks would have praised. Without the London Docklands Development Corporation (LDDC), and its dynamic chief executive Reg Ward, it would never have started. Without Bill Bryce of Brymon Airways and the de Havilland Canada (DHC) Dash 7 aircraft, it probably would not exist today. It was Sir Philip Beck (chairman of builders John Mowlem & Co Plc) who put the two together and built the airport. Ginsberg explores the most exciting urban development in the UK since World War II and with it the reinvention of the West India Docks and its dominant feature, the 50-storey One Canada Square, Britain’s tallest building prior to the opening of The Shard in 2013. He draws a parallel with the world outside Docklands, often dramatic events that affected London, and with it the airport. On 27 June 1982, Brymon’s Captain Harry Gee landed a Dash 7 aircraft on Heron Quays in the West India Docks, in order to demonstrate the feasibility of a full-size passenger aircraft flying in and out of a densely-populated area of East London. Later that year, the LDDC published a feasibility study, an opinion poll among local residents showing a majority in favour of the development of the airport. In 1988, British Aerospace demonstrated the feasibility of jet operations in the airport with the BAe146 ‘whisperjet’. In 2009, British Airways opened a non-stop service from New York Kennedy with a specially adapted Airbus A318. Headwinds in the other direction meant a refuelling stop in Shannon. For the future, its successor as the smallest Airbus, the A220, can make JFK non-stop. It took 17 years for the DLR to arrive. Today, 61% of its passengers use the station to access the airport. Today, London City Airport is owned by a consortium of international infrastructure companies that includes the Alberta Investment Management Corporation (AIMCo), OMERS Infrastructure, Ontario Teachers’ Pension Plan (OTPP) and Wren House Infrastructure Management Ltd, the Kuwait Investment Authority. A £500m redevelopment, which includes a parallel taxiway, seven new aircraft stands and an extended passenger terminal is under way. Crossrail, the Elizabeth Line, runs within 100 metres of the airport. No station as yet! At £25, this book is a perfect present for the regular traveller and the aviation enthusiast.